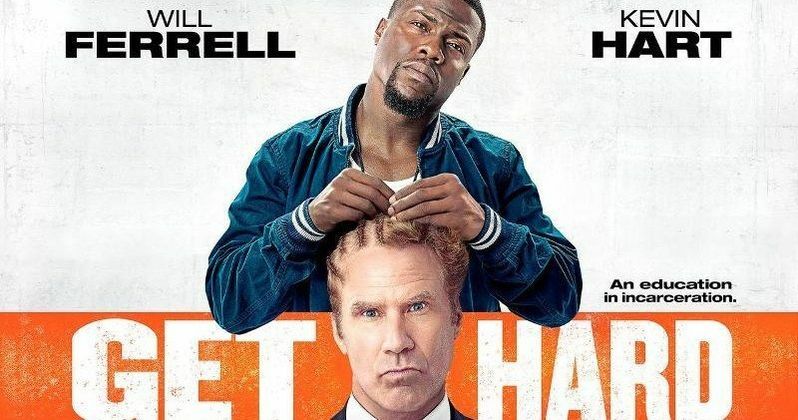 Just days after the first photos for the upcoming comedy Get Hard were released, Warner Bros. has debuted an official banner featuring stars Kevin Hart and Will Ferrell. The story centers on Will Ferrell's James King, a wealthy investment banker who is found guilty of committing fraud and sent to San Quentin prison. In order to prepare himself for the time he's about to serve, James hires Darnell (Kevin Hart), a car-washer he's mistaken for an ex-con. Despite being insulted by James' insinuation, Darnell takes the job, offering James tips on how to survive in prison so he can help provide his family with a better life. The first trailer for Get Hard is set to debut Tuesday, November 25, so be sure to check back next week for the new footage. In the meantime, take a look as Darnell helps James Get Hard by giving him some cornrows. BOX OFFICE PREDICTIONS: Can Get Hard Beat Home?